We all think our house is worth more than our neighbours, that lovely kitchen, the cool bathroom and that beautifully landscaped garden. The fact is that your house is only worth what someone else is prepared to pay for it. So be realistic about the price you are likely to get as it would be better to pitch the price lower and get a sale than have your property sit on the market for months unsold. You can get a realistic valuation for your property here. To have the best chance of selling your house you need to choose your estate agent wisely. Many people will think that cheapest is best and just choose the agent with the lowest fee. 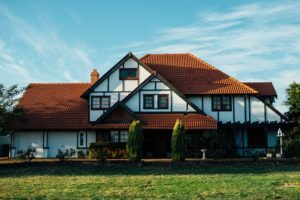 However it is important to also take into account how successful the estate agent has been at securing the asking price for properties they've previously sold. Not only that but how quickly they have been at selling properties. Fortunately there is now a comparison tool that allows you to compare estate agents across all those factors so that you can find the best and cheapest estate agent near you that is most likely to sell your house. A viewing is like a sales appointment where the seller should be pulling out all the stops to make the viewer fall in love with their property. Unfortunately many sellers see viewings as a bit of an intrusion and give potential buyers just a cursory tour around the house and then expect them to buy it. Preparing well for each viewing and conduct the viewings in a professional manner will increase the chances of a sale. Every offer should be taken seriously and not just dismissed out of hand. Many offers that could have been rejected instantly can be negotiated up to a realistic price, and a sale achieved, with a bit of patience. People will often make an offer at a very low price just to test the water, if they are in a good position to proceed to completion then they will be worth spending time on. Here is where a good estate agent will really earn their money as negotiating offers is one of their a key skills. Many sellers accept an offer but in their excitement fail to get all the relevant information about their buyer. Have they got a property to sell? Do they need a mortgage? What are their timescales for moving? How many other sellers in the chain? Without this information a seller is in the dark just hoping that their sale goes through. Get all the relevant information and take control of your sale and you will increase the chances of it reaching completion.